- Coordinate and communicate with Thai and Foreigner customers by Thai and English Languages. - Coordinate and provide information about crypto currency investment. - Create and maintain Customers’s satisfaction. - Report to manager and coordinate with company staff to accomplish the work required. - Compatible with Day-shift and Night-shift working. 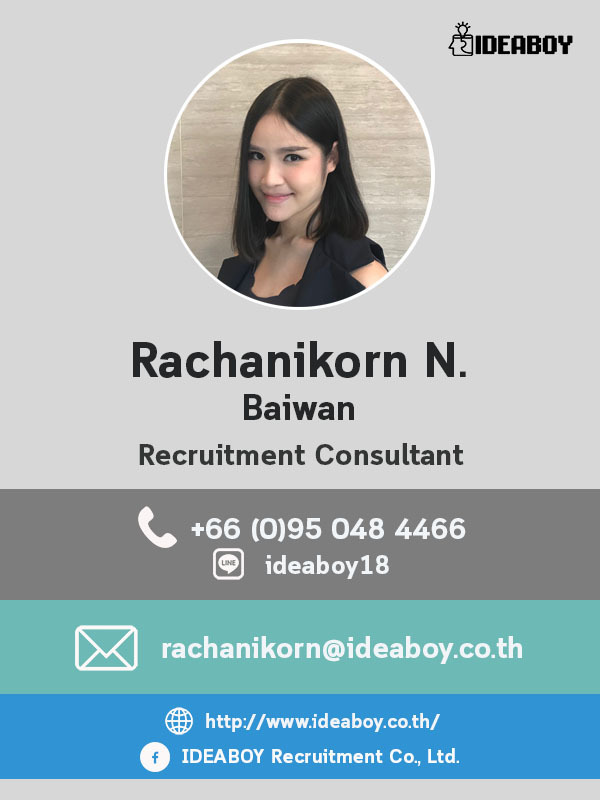 - Thai Nationality, Male or female, aged should be over 25 years old. - Bachelor degree and higher in any field. - Experience in customer service, especially in investvent and securities. - Familiar with computer skills and information technology. - Knowledge in crypto currency, bitcoin, blockchain will be advantage.